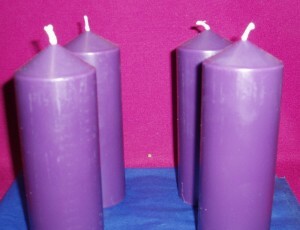 This advent candle set consists of 4 purple candles. The set does not include a white candle, so if a white candle is required, this needs to be an additional purchase. The budget candles are of very good quality, but are dipped in colour. 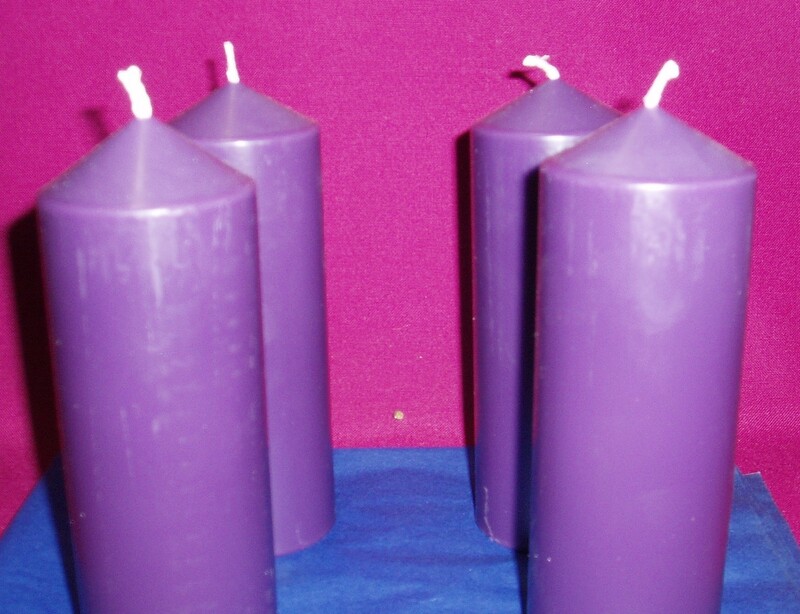 The other candles are Australian made, of the highest standard, and the colour goes through the whole candle.